Many aspects come into play when it comes to knowing which threats to look for – and where to find them. Our team of Certified Ethical Hackers (CEH) has extensive experience in performing risk assessments that help our clients better understand their security posture. We then provide clients with prioritized list of specific remediation tasks that is matched to a business system. We understand the importance of risk awareness to our clients. Many compliance regulations, such as PCI DSS 6.6 and 11.3, require it. It also provides ongoing evaluation of network and application security that supports HIPAA, Sarbanes-Oxley (SOX), FISMA and GLBA/FFIEC compliance efforts. 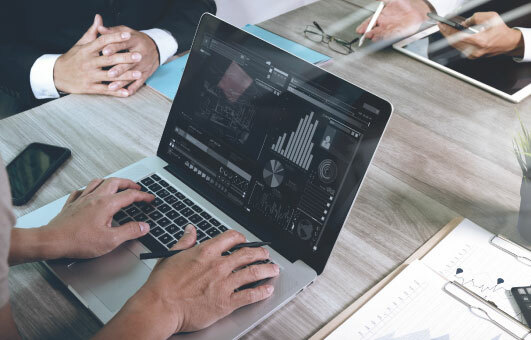 Regardless of your industry or regulatory requirements, our team can help you prevent breaches, reduce the impact of realized breaches, and keep your company’s name from appearing in the spotlight. Orion can perform regular training and awareness exercises so that your contractors and employees will know ins-and-outs of your policies. Let our Certified Ethical Hackers reveal your vulnerabilities so that you understand the consequences of exploitation. Our flexibility allows us to provide you with a solution that helps you maintain compliance, regardless of your industry or challenges. 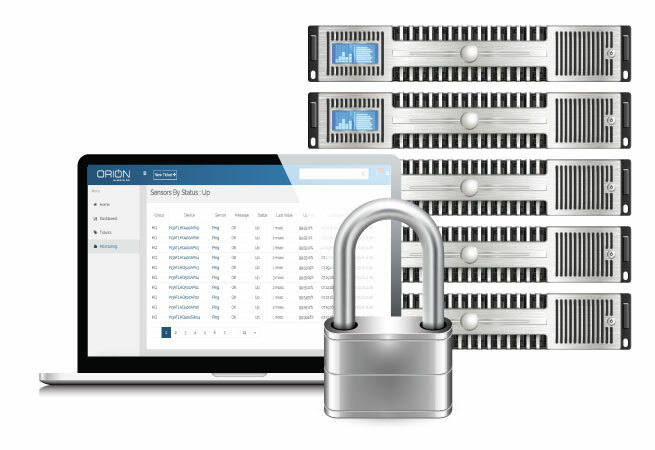 Reduce your overall corporate risk with Orion’s Endpoint Protection services that help you cover all endpoints on your network. Are you struggling to keep up with Risk and Vulnerability Assessments? Every company, in every industry has to deal with managing their overall risk posture. Regardless of whether you are subjected to compliance regulations, or are simply trying to keep up, understanding your technical and security-related vulnerabilities is a struggle faced by many organizations. Don’t worry, you’re not alone. Fully understanding one’s own vulnerabilities is a very common struggle. Curious to see what other challenges you are facing that are common? 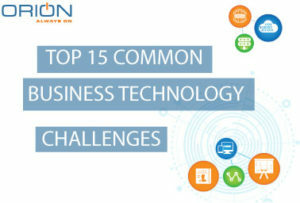 Download our eBook to learn about the 15 most common struggles most businesses face. We have all heard about Ransomware, but prior to the WannaCry attack earlier this year most you probably considered yourself safe. While the spread of the virus has slowed, any respite might be brief. The attack was halted when a kill switch was found in the code. Experts say they expect that hackers will release — or have already unleashed — an updated version of that worm without a kill switch. 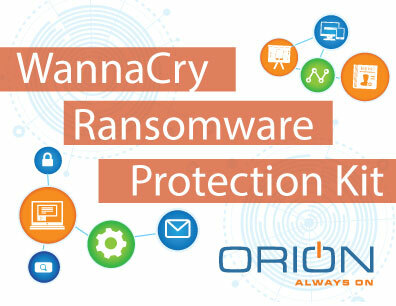 Contact Orion about how we can help keep your business, your employees, and your data safe from Ransomware.